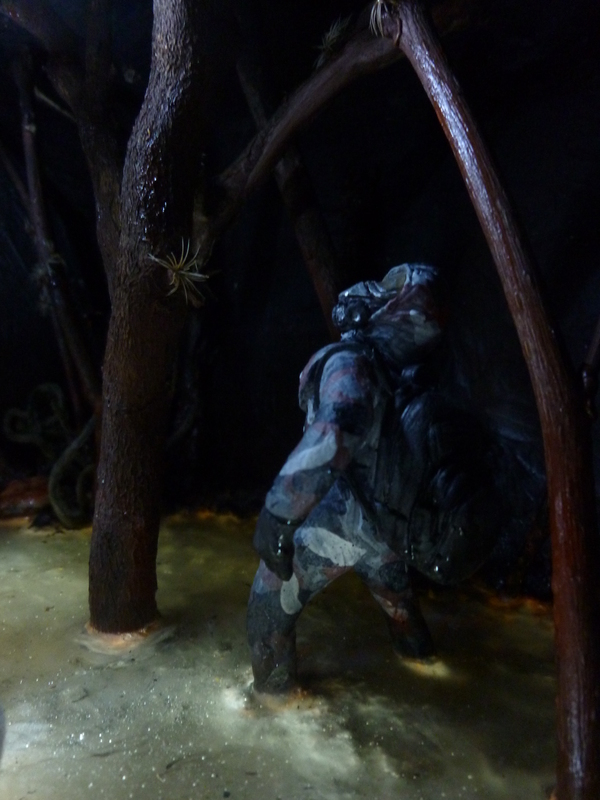 Aeneas’ rainforest features a unique microbial habitat that is entirely dependent on the activities of the “fog of war” pseudofungal layer. The waste products of digestion drip down with the rain and condensation. The soup, which is rich in alcohol and other nutrients, collects in puddles on the forest floor. A microbial mat carpets the bottom of the puddle and converts the alcohol to acid until the water’s oxygen is depleted. Older pools of standing water contain only a surface scum, since alcohol conversion requires oxygen. These colonies are quite stable as the thin layer cannot keep up with the supply of nutrients from above.